This third course deconstructs and blends author Max Hardy's final two books on the 2/1 Game Force bidding system, helping transition bridge students from advanced Standard American to this more modern way of conducting auctions. At the conclusion of the semester students will have read both the basic and advanced Hardy books and numerous articles covering 2/1 bidding topics. Experience with the material covered in the first two semesters is a prerequisite. The Hardy books are not free and must be purchased separately from a student's vendor of choice. The course is not recommended for casual social players. These lessons are FREE in full semester PDF format and are meant to be downloaded and shared. As before our goal is to get a copy in EVERY college and university library and student activity reference center in the US and Canada! 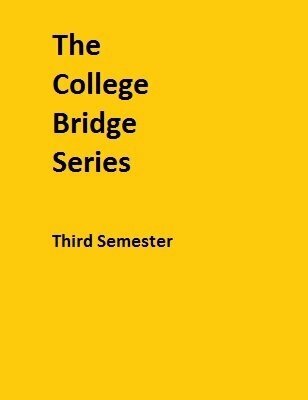 Although meant and designed for college-age kids, hence the intensity and homework requirements, any bridge teacher is free to adapt them picking and choosing what is desired. 1st edition 2017, 85 pages.